Some years back, a Florida preacher, who seemed to have a neck that was 17-inches long and a goitre the size of a musk-melon, looked like ten generations of first-cousin marriages and probably handled snakes in church. He earned much publicity by burning a Koran; but just to make the story less controversial, let us say that he burnt an effigy of the Buddha instead. Question: was he a Christian? Okay, so he sounded neither pleasant nor Christ-like. Call him ambitious, confused, foolish, hateful or even evil, it would still be hard to say that he was not a Christian; maybe just a rotten one. For Muslims, ISIS is Islamic in the same way. Mohammad said famously that one must not judge whether another person is a good Muslim, so long as he adheres to the Five Pillars of Islam: including the declaration proclaiming one God and His prophet, the month-long daylight fast, five daily prayers, charity to the poor, and the Haj pilgrimage (if possible). Beyond that, judgement is God’s. He also condemned forced conversion. Most Muslims obey. Yet some Muslims, being human, sometimes follow their faith’s many instructions selectively—lest one sneer, the New Testament says, repeatedly, that both faith and good works are required for salvation, yet some self-proclaimed “Bible Christians” insist that faith alone is sufficient. What they do not like, they ignore. Hence, when President Obama says that ISIS is not Islamic, he is mistaken. ISIS is horrible, yes. It is aberrant indeed. But unIslamic, no. Just as Catholics reluctantly admit that IRA terrorists are co-religionists, the best-informed, most numerous and normally peace-loving Muslims ruefully say the same about ISIS. There is a structural weakness in Sunni Islam, of which the ISIS supporters are members. Unlike Shia Islam or the Catholic Church, Sunnis have no real hierarchy capable of ruling on doctrine. With five different schools of religious jurisprudence, Sunnis have no College of Cardinals. There is no licensed clergy: be a Sunni, open a tiny mosque, declare yourself to be a mullah, and your authority is whatever other Sunnis accord you. In that sense, they resemble a Southern American town with 200 residents and 100 break-away churches. Thus Sunni Islam is a daily election with no mechanism for counting the ballots, and with more than one billion Sunnis, consensus and reform become impossible. Alistair Crooke, a former British intelligence officer with vast Middle Eastern erudition, describes the ISIS sect as Jacobin and driven by hate, but nevertheless Muslim. How did they get here? By the 18th Century, the non-Arab Ottoman Turks had long controlled North Africa and the Middle East (apart from Iran); including Islam’s holy cities in modern-day Saudi Arabia, the rest of which resembled a vast cat-box occupied by bickering Arab tribes. The resentful unwashed would have been nationalists, a century or so later, but nationalism had not been invented there yet. Just as infuriating to them as colonial occupation, scarcely more than a millennium earlier, their ancestors began a religious revolution that soon reached from India to Spain, and from Sub-Saharan Africa deep into France. They resented decline, they resented being occupied, by non-Arabs no less; and since they were still raiding one another’s caravans, religion was their main point in common. Into this came Mohammad ibn Abd’ al-Wahab (1703-1792). Wahab preached fire and brimstone, denouncing purported modern heresies, and demanding what he called a return to what he saw as the earliest Islamic practices; resembling some Christians from Europe’s Reformation. He beheaded his enemies and chopped off limbs; as his savage countrymen expected, and as the authorities do in Riyadh today. Wahab made a pact with one of many petty chieftains, Muhammad bin Saud, whose power spread on the fundamentalist tide. They vanquished their neighbours, and together formed the first Saudi state. Since then, their two families have governed in tandem; with Wahab’s descendants controlling the clergy, the Saud monarchs ruling the state, and each supporting the other—not too different than Europe’s Church and State over a thousand years, from the late Roman Empire until the Reformation. In Saudi Arabia today, the relationship remains and both families enjoy similar prestige. Yet Wahab’s antique puritanism begat modern political schizophrenia. Starting in the 1920s, King Abdul Aziz (later named Ibn Saud) needed a modern state, in order to replace Ottoman hegemony toppled in World War One, and then, after oil was discovered there in 1938, to sell it to America and Britain. The backward-looking Wahabis were anything but modern. I watched it spread in the 1980s. On Pakistan’s Afghan border, my neighbours were Syrian Wahabis, whose hometown of Hama had been razed by President Hafez Assad (father of the current ruler), slaughtering as many as 20,000. Homeless but funded by Wahabis, they ran a clinic for Afghan refugees. Young Afghan freedom-fighters told me that their commanders had been bribed by the Saudis, who insisted that they pray using Wahabi positions rather than their “heretical” ones deployed for centuries. An American reporter friend had been travelling with the Afghan resistance when accosted by groups of Saudi Wahabis, who insisted that the Afghans kill him as an “unbeliever”—one group included Osama bin Laden. The Wahabis competed with the wealthier West for loyalty, but the hospitable Afghans kept their squabbling guests apart. Similar “unfriendly buy-outs” of many Islamic traditions, fuelled by oil money, occurred from West Africa to London to Singapore. Voicing an opinion still common across Islam, a young Afghan mullah complained to me, that God sent his greatest and final prophet to Saudi Arabia because “then and now, they need the most work.” Across the Muslim world, Saudis are hated for arrogance, Wahabis for backwardness and cruelty, and Saudi Wahabis for all three. The Jacobinism continues to spread, fed by several reasons and resulting in various intensities. Saudi Arabia and the Gulf States use Wahabism as religious colonialism, but their money is not everything. Across the Muslim world, some new Wahabis resent the long decline of Islam’s culture and power; perceived Western interference, chiefly from America; and/or the surge of materialistic values. Others, such as some Syrians, see Wahabis as the only ones capable of topping their government. Sometimes Wahabism is even embraced as a pathway to Western-style liberalism: In Algeria’s 1990 elections, long-suppressed liberals backed better-organised religious extremists as the only alternative to the party run by former military dictators. Long before ISIS, Wahabism attracted Muslims who saw nowhere else to turn. A decade ago, a wise British friend returning from Central Asia, quoted Pascal’s “God-sized hole” among Muslims who had hated atheistic communism, felt betrayed by the materialistic state-capitalist plutocracy that followed, and whose moderate clerics offered neither inspiration nor leadership. The spiritual void will be filled, he predicted, by 200 years of Wahabi extremism, from Pakistan and Afghanistan “to the gates of Moscow.” Where Western-style reforms failed to take root, under which freedom of religion would have proved sufficient for most, radicalism finds a home. Now even China’s Uighur minority, in touch with radicalised Muslim cousins across the border in Central Asia, trade peaceful nationalist protest for Wahabi terrorism. Today the Middle Eastern Wahabi jihad, whether through ISIS or Al Qaeda and others, even attracts followers with barely any connection to Islam at all—in Britain, two indicted, hapless teens heading to Syria, had ordered from Amazon “Islam for Dummies.” No theologians they. Other Western wanna-be terrorists, in an earlier generation, would have joined Europe’s communist Red Brigades or the Baader-Meinhof Gang, or America’s Black Panthers or the Symbionese Liberation Army. Militancy can be an exciting alternative to permanent unemployment and daytime television. But one cannot understand current Middle Eastern affairs while ignoring the bifurcation that split Wahabism. Some Wahabis were content with the status quo, while the most fundamentally fundamentalist wished to ignore, or even to overthrow, the increasingly decadent Saudi rulers. The cultural revolution had come home to roost. What was the difference, they asked, between a debauched Saudi royal and a virtually identical Western unbeliever, apart from old-fashioned clothes and a show of false piety whilst the cameras were switched on? 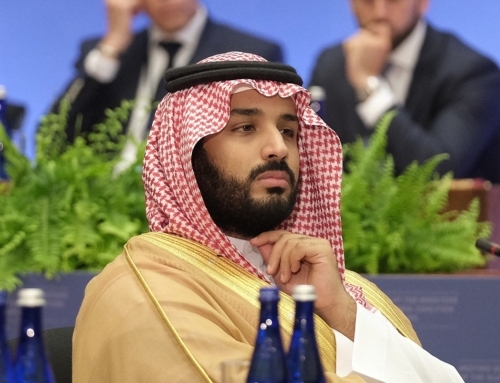 There had been grumblings for years, but Al Qaeda first broke the ice by objecting to the Saudi government, while chiefly limiting violence to attacks on the monarchy’s American allies. Next, Egypt’s Wahabist Muslim Brotherhood lost Saudi support to Cairo’s military dictators, because the Saudis liked the Brotherhood’s fundamentalism but not the disloyalty to their throne. That was then. Now ISIS has captured the market. In Emerson’s phrase, they built a better mousetrap. Eclipsing Al Qaeda in money, guns, members and enthusiasm, ISIS is the new Al Qaeda-Plus; they are Turbo-Wahabis with extra ingredients and sales appeal, and they want the heads of Saudi princes on platters. Declaring a transnational “caliphate,” they intentionally remind Arab Muslims of their glorious empires of old, and shame them over what they have since become. They wield newfound power: where Al Qaeda merely launched occasional suicide-bombers against Shia “heretics,” ISIS slaughters them wholesale. They hand out enslaved non-Muslim women to their teenaged fighters; trophies forbidden to their prophet’s armies. In intentionally grisly ways they put even their fellow-Sunni critics to death, and murder what the Koran calls the “People of the Book” (non-Muslim monotheists), who Muslims are obliged to respect. They destroy the tombs and shrines of Muslim saints, which are indeed forbidden but which most Muslims like. Much of their ideology runs contrary to Sunni Islam, even speculating about their prophet’s time, but Wahabis don’t mind: pan-Sunni orthodoxy could nearly be written on a postcard. On offer, instead, is something for everyone with an axe to grind, who does not mind a little crucifixion and beheading. Worldwide, most Sunni Muslims are frightened, scandalised and horrified, while, safe within Western mosques, anti-ISIS fatwas are flying. Yet, the formerly silent are responsible for turning a blind eye to Wahabism; while we did the same in our lust for OPEC oil. Ugly though it is, ISIS is a logical progression from the bitterness of Mohammad ibn Abd al-Wahab, and it should have been a predictable reaction to the growing decadence of the Saudis, and similar elites across the Muslim world. Decades ago, smug Western diplomats told me that it was only a matter of time before Islam had its Renaissance, just as Europe did, as if it were as predictable as a seven-year-old turning eight. Well, while you are looking up Europe’s Thirty Years’ War, welcome to another Reformation; but with less Christian-style mercy, flawed as it was. Today, Wahabis comprise almost a quarter of all Saudi subjects, and just under half in Qatar and the United Arab Emirates. Most estimates accord them less than one per cent of Muslims worldwide. But activists’ power always exceeds their numbers. Up to half of the Saudis are said to cheer for ISIS, against their own rulers, and many have fat check-books. Thus the Saudi princes waffle, refusing to send their armies against warrior-thugs so popular at home. It is a particularly nasty brawl, but far from where we live. ISIS has said virtually nothing about Israel or the Palestinians, because their fight is about who runs Sunni Islam, to which the Palestinian issue is irrelevant. This is why Iran remains involved but not immensely so—no more than an American Chinese neighbourhood gets too upset over Puerto Rican gangs shooting it out a few blocks away. Turkey hopes that ISIS finishes off the Kurds, whose terrorists murder Turks. In Qatar, the Emirates and elsewhere nearby, often scared of their own oppressed Shia minorities, they cheer on Sunni ISIS but stop after financing; probably too fat to squeeze into their air-conditioned tanks. If ISIS succeeds, it will most likely affect neither the supply, nor the price, of oil, because Wahabis cannot drink it—if they pump it, they have to sell it. But they may well demand that America stays off their turf. And the plight of Middle Eastern Christians, members of other non-Muslim faiths, local Shia and even Sunni opponents, will be tragic. But what is the West to do? Massive Turkish, Iranian and Saudi armies sit it out for their different reasons. The best that Americans can build there, so foreign and far from home, is a Potemkin alliance, in which virtually all of the costs will be borne by Texan hairdressers and Illinois tool-and-die makers, and the casualties by their uniformed sons and daughters. If allies fight but ISIS still wins, even on the fringes, America’s Middle Eastern team-mates will denounce her before the first beheading. America? Who is that? Ain’t nobody here but us fundamentalist Muslims! Dame History has but one prize for those too lazy, fat or greedy to pass her IQ test. I often wonder why Wahabists and such are referred to as radical rather than reactionary. Great article, and much too bad that the last line cannot be branded across the foreheads of U.S. “Congressmen”. The implication that Protestants just ignore passages “they do not like” is more than a little insulting. The same could be said of Catholics if we were in an ignorant and uncharitable mood, and wanted to make the part stand for the whole. Besides the fruitless pejoratives, this article isn’t half-bad. I agree with Masty’s connection between Wahhabism and ISIS. That all makes sense. However, I find the comparison of the Sunni’s with Protestants and the Shiites with Catholics laughable. We might as well say that Fascists are like Catholics just because they have super-structures, and that anarchists are like Protestants just because they often reject macro-structures (which is actually unfair because many of them just adopt their own independent macro-structures, making Masty’s comparison even weaker). The similarities are present on the surface alone. Thank you for such a clear and well-written analysis of this most grotesque phenomenon. Have duly read Mr. Cooke’s essay. A religion that has been at war for twelve hundred years, with occasional respites, isn’t a religion, it’s a disease, a nightmare. It was begotten in violence, offered little to civilization, spare me on the11th & 12th century Islamic commentators, and up to and including today offers nothing but corruption, violence, political backwardness and societal retardation. There must be something in the prophets book gone awry. Miss C-K, thank you! And Alistair’s website is essential. Mr Trainor, every holy book, save the Dhammapada, seems to have violence meant to be applied judiciously and the Koran is no exception. A flaw, I think, is that it was purportedly revealed over more than 20 years and related to specific events, but that purpose was lost when one of the early caliphs wrote out the chapters in order of length. Why, we’ll never know, but it helps the book to be taken out of context. Mr. Masty, I would only add whereas every holy book may have reference to violence, only one has carried this into the 20th/21st century. Nor has it’s application been judicious, say the protection of culture and life against aggression.. Such as revisions have may have changed the original text they need not have been followed so energetically or to such length and with the ascriptions of holy war yet. Centuries I would think would offer the lessons of peace not ever lasting jihad. Mr Trainor, then I’d surmise that you are one of those people who believe in Progress altering human nature. You might reconsider this. Mr Masty, yours is a dubious surmise. This is wonderful. Its hard to get a clear understanding of ISIS and what exactly is happening in the Near and Middle East. Thank you for this insight! My imagination has been sparked – long have I read and wondered “how has this come to be? !” I am enlightened. Nice Article. Very insightful and on target. There’s a rather puzzling anachronism in all of this. For if so-called Wahabism is something wholly modern “fundamentalist,” then Mohammed himself was wholly modern and fundamentalist. Hilaire Belloc predicted a century ago that what was not accomplished in the Crusades — i.e., the eradication of Islam — would come back to haunt us; the “Turk” would rise again. And so he has. I should think that the overwhelming majority of those who are nominally Christian are not in fact “devout,” and even fewer “orthodox.” And surely, humans being humans, the same is true of Muslims. It is the so-called “fundamentalist minority” who are the truly devout. “Wahabism” is simply orthodox Islam under a different name. I tend to agree with Mr. Berger. Islam seems to repeatedly produce “strains” of fanaticism. Perhaps, and I tend to think this, the fanaticism (which is shorthand for conquest or jihadism) is innate to the religion. Mohammed himself went on conquering jihad, and it seems to be a staple of Islamic expression through the centuries. The spread of Islam has been quite amazing and didn’t happen by without the religious zeal. My understanding is that the reason Islam “spread like wildfire” (as one learns in history class) is not so much by the religious zeal, but on account of the fact that said zeal was manifested by the scimitar (as one does NOT learn in history class).